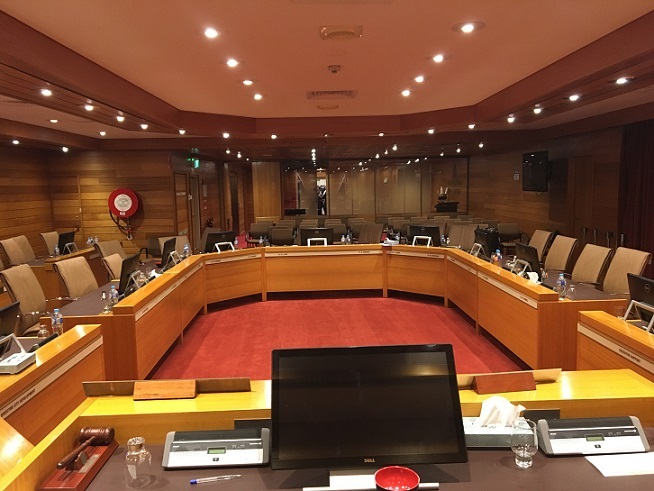 Staff from Campbelltown City Council who experience situations of family and domestic violence are set to receive industry leading support from their employer following a productive meeting between council representatives and the United Services Union (USU). Mayor George Brticevic told the meeting that he intends to build on recent efforts by taking a vastly improved domestic violence leave policy to the September council meeting that would see Campbelltown City Council set a new benchmark for how local government in NSW responds to family violence. The USU has been campaigning for the adoption of a new industry standard leave provision for staff experiencing or assisting with situations of family and domestic violence. As part of that effort, more than 3,000 local government workers, including many from Campbelltown, signed a petition seeking 10 days paid domestic and family violence leave. – signing Statement of Commitment regarding Violence against Women in October 2018. Productive meeting: the Campbelltown Council chamber. USU general secretary Graeme Kelly welcomed Councillor Brticevic’s commitment and said the union looked forward to working collaboratively to deliver an industry leading outcome. “The leadership of Campbelltown City Council deserve to be commended for not only sitting down and examining how we can work collaboratively to address this serious issue, but for committing to deliver an industry leading outcome that will provide support to staff when they need it most,” Mr Kelly said. “This will see Campbelltown City Council provide genuine community leadership by demonstrating exactly how a good employer can support workers facing family and domestic violence. “In addition, council committed to continue their efforts to provide a workplace culture that supports employees who are affected by violence, increase awareness of available support, provide appropriate training in domestic violence awareness, and maintain zero tolerance for violence in the workplace.